At one pen, one book, one child, we believe that by providing the essentials, pens and paper, children are encouraged and motivated to both attend school and continue education as they grow. Through a programme of sponsorship we are ensuring that children can continue their education. We are dedicated to helping the poorest and most needy in the communities our projects serve. Those for whom consistent attendance at school is a luxury beyond their means. We, all of us together, can help. In consultation with project leaders, those most in need children have been selected to receive your help. As each project grows, the more children we can help. It started as a vision. Equip. What started as a desire to help children whilst on a visit back to his homeland has grown into a larger project. One pen, one book, one child, desires nothing more than to see all children have access to the basic requirements for school. We hope that in the future no child will be discouraged from attending school because they have no pen or paper. It became a reality. Educate. Getaneh & Etse visited Ethiopia in June 2017 taking with them pens, pencils & paper collected at the university where Getaneh works. They also took money that had been raised by Getaneh which was used to buy several hundred Amharic language school books. Simon joined them a week later bringing more items that had been donated by his work colleagues. Together we are changing lives. Empower. 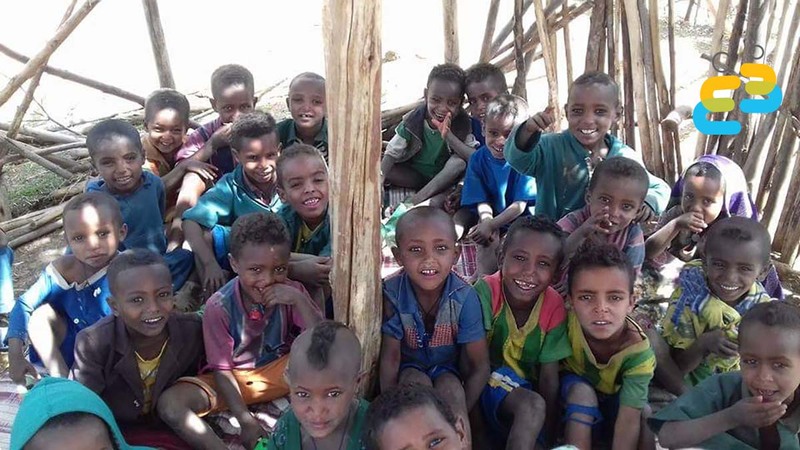 Those first items have been distributed to our first project, a primary school in Woyla, North Gondar and donations made to another school in Guntir, Getaneh's home village. These schools do not have reference books or a library. 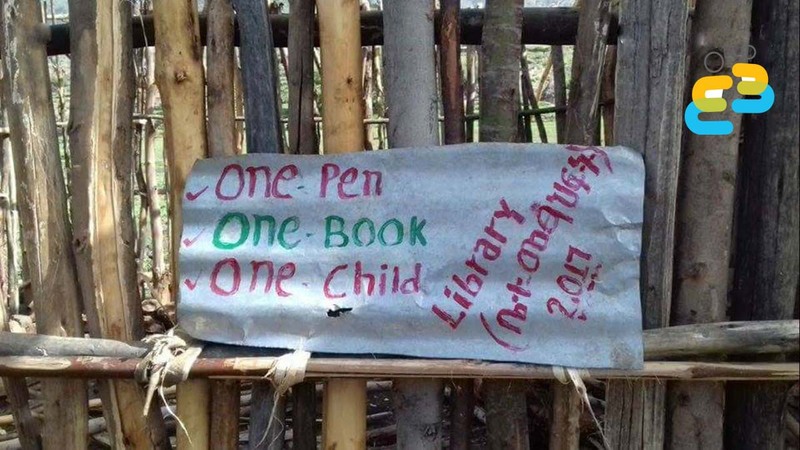 However, as the news about book donations reached teacher Molla and his students in Woyla, they decided to build a library and with a little help from us towards building costs, they have built a small room from wood and mud and have named it the "One Pen, One Book, One Child, Library". We are both honoured and proud of them.